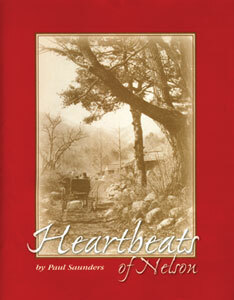 After nearly seven years of hard work, Paul Saunders' book Heartbeats of Nelson is available for purchase. The book, which chronicles Nelson County, VA history from the Civil War through the devastation of Hurricane Camille, includes diaries, letters, and interviews with dozens of citizens who saw history happen firsthand. It is over 600 pages long, and contains over 1200 photographs.